Fun is the way to live life. 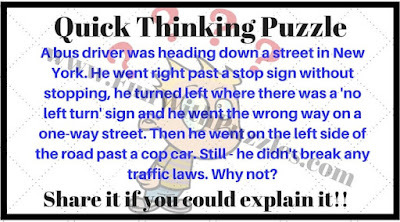 So let us have Fun With Puzzles with Funny Brain Teasers. These Riddles looks funny, however answering to some of these teasers will require you out of box thinking. 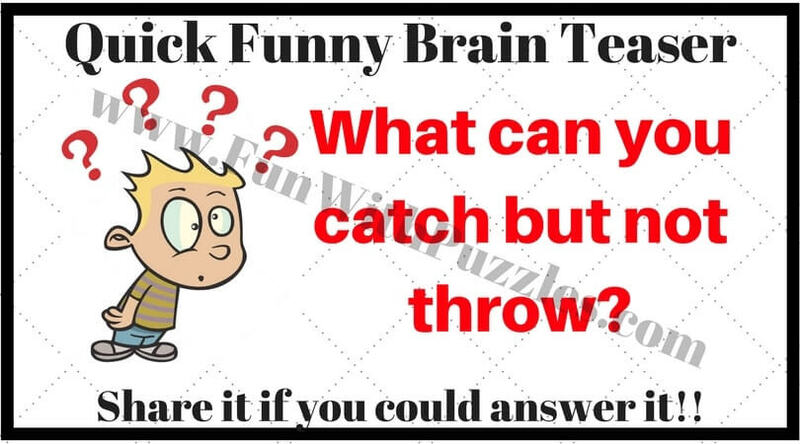 Let's see how many of these funny brain teasers you can answer? 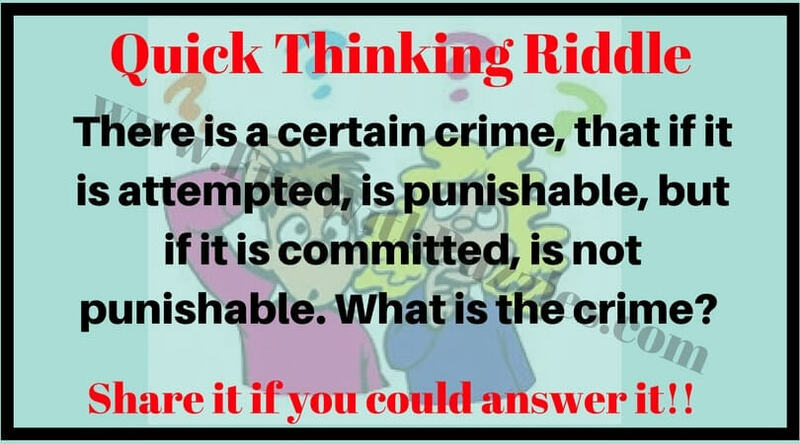 These Funny Brain Teasers are part of Fun Brain Teasers and Riddles. 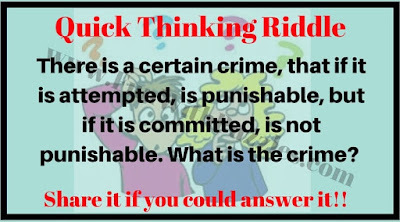 One can check similar quick brain teasers at the posts titled "Interesting Quick Riddles with Answers to ask your friends" and "Quick Super Funny Riddles for kids with Answers". 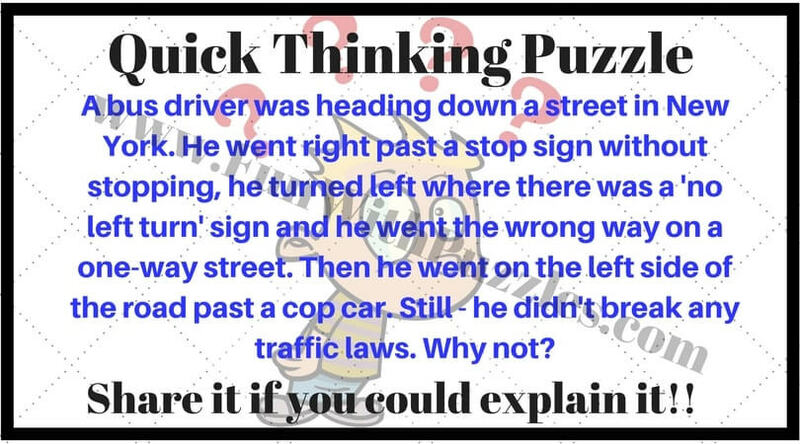 Hidden solutions to these Brain Teasers is given at the end of this post. 1. 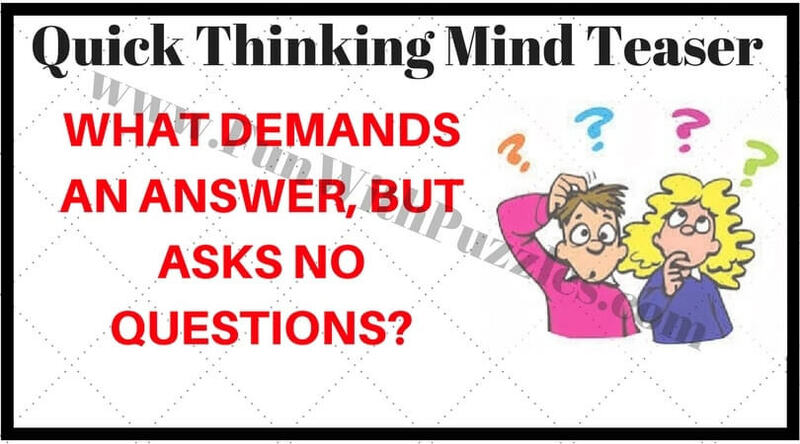 Fun Brain Teasers with answers for kids: Do check out these fun brain teasers which are most liked puzzles on this website. It has mix of Mathematical, Logical and Word Brain Teasers. 2. 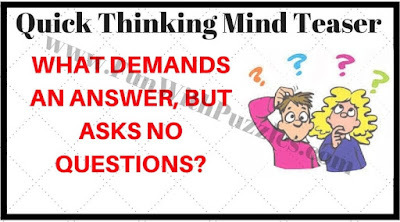 Brain Teasers Trick Questions with answers: Here are tricky fun brain teasers which you have to answer very quickly. 3. Brain Teaser Riddles for interviews with answers: It contains Brain Teasers Riddles which are not only fun to solve but also help you during job interviews. 4. 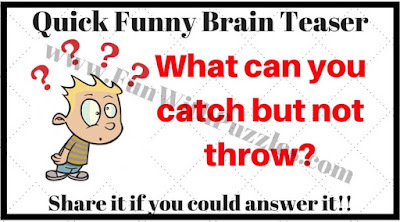 Fun Word Brain Teasers with Answers to Challenge your Mind: It contains many Fun Word Picture Brain Teasers which will test your knowledge of the English language. Here is the answer to 14th Brain Teaser Question of the post titled "Out of Box Thinking Fun Brain Teasers with answers to Challenge your Mind ".